Ear blowing has been a hot topic in the past couple days. On Wednesday in Game 5 of the NBA’s Eastern Conference Finals, Lance Stephenson of the Indiana Pacers was caught blowing into the ear of Miami Heat star LeBron James while defending him on the court. It was all part of Stephenson’s continued tactics, both on the court and in the media, to try to get under James’ skin and throw him off his game. The incident has also prompted former players to share the oddest form of defense ever played on them. On ESPN, former player and head coach Avery Johnson said an opponent once tried to pull his shorts down during a game. Yes, the reaction to Lance’s gentle blow in the ear has been negative. But I will defend it. In high school and college, my life revolved around basketball. I was particularly obsessed with competing in 3-on-3 streetball tournaments. One such tourney was Hoop It Up at Chicago’s McCormick Place in 1999. On my tournament teams, I was always the shortest player at only 5’10”. However, I was also typically the strongest player on the court for either team. This often resulted in me guarding the other team’s biggest playing, meaning I regularly matched-up against guys a half foot or more taller than me. With looser street rules in tourney games (“no blood, no foul”), I could use my strength to push these taller players away from the basket like a football lineman. Not only did I get the big guys away from their spot on the court, but I also frustrated the hell out of them. For one, it was irritating for them to be pushed around like that by a “little” player. Also, I used my pointy elbows to do much of the pushing, which meant I was inflicting a tiny bit of pain. I frustrated plenty of opponents straight out of the game, to the point that all they wanted to do was try to shove back at me (unsuccessfully). Then came Hoop It Up, when I got paid back in an odd way. My team won our first round game in dramatic fashion, eeking out a hard fought game against a good team. Then, in the second round, we came out on fire. Our opponent was simply no match for us. Yet I will never, ever forget this team. Once again, I was guarding the tallest opposing player, who happened to be a big guy with a sweet, well-coiffed fro that had a pick in it the entire game. It was almost like he acknowledged that he wasn’t a good player, so he was going to make sure he at least had his style in place. This particular game was perimeter-oriented, as my teammates kept making deep shots. This led me to spend lots of time tangled with this big guy under the basket for rebound position. And the whole time we battled, he was tickling me. I don’t mean he grabbed me while trying to get position and he just happened to tickle me. He was straight up, blatantly tickling me. And he made no attempt to deny that’s what he was up to. Apparently, if you can’t beat them, tickle them. 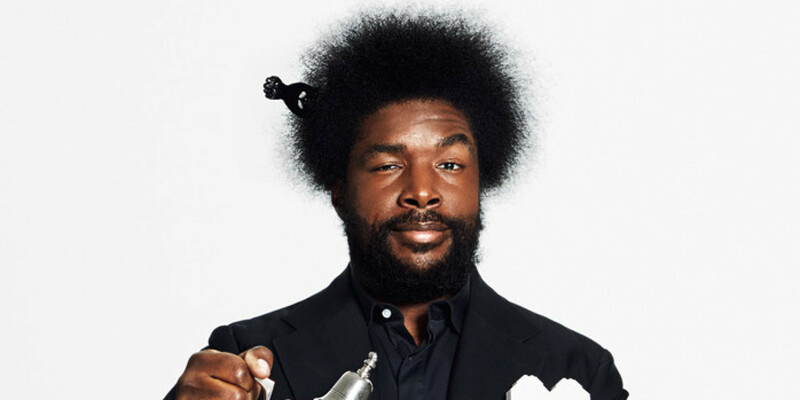 Despite the description, I was not being guarded and tickled by Questlove. Now that would be one hell of a story. I spent most of the game wondering if the tickling was actually happening or if I was imagining things. I was more than accustomed to getting hit during games: elbows, hands, knees, hips. Anyone who has played basketball knows how deceptively physical and violent the game is. Yet, for all the contact I was familiar with, I had never been tickled. I kept boxing out and grabbing rebounds and I never said anything about the tickling, mostly because it was clear he trying to get in my head along with my ticklish areas. I figured acknowledging it in any way would be a win for him, a sign that it was throwing me off. And it was throwing me off. I never expected I’d spend a half-hour getting tickled that day. Thankfully, it turns out that spending the entire game tickling an opponent is an effective method for psychological warfare, but is a horribly ineffective method for grabbing rebounds. I was a horrible rebounder, and yet I never grabbed so many as I did that game. All of these years later, I have forgotten most of the specifics about many of my tournament games, but I will always remember that guy. In that sense, the tickle technique was remarkably successful: it totally got in my head. On the other hand, when it comes to stats and victories, the tickle test did not earn a passing grade. So, back to Lance Stephenson. I applaud his blowing in LeBron’s ear. 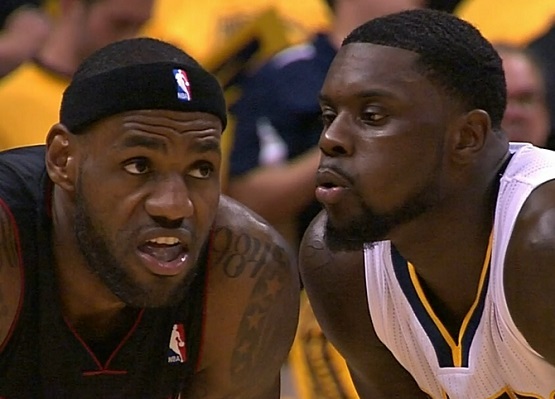 In the video of that moment, as Lance is puckering his lips, LeBron shakes his head and smirks – visual evidence that Lance was getting in both his ear and his head. LeBron had a terrible game (arguably more due to the officiating that the ear blowing), and the Pacers won. When it comes to sports, any (legal) way to get an advantage is something worth trying. Maybe tickle guy used his method in his first round game and it worked well. Maybe he persevered while tickling me figuring that at any moment I would snap and be thrown off my game. However, that clearly didn’t happen. Or maybe he just thought I was adorable and deserving of tickles, which I suppose I am. In that case, thanks for the compliment – I’ll never forget our momentary basketball tickle bromance. Ultimately, wins are what matter most in sports. If odd little tactics can provide some small advantage, then I say tickle and blow away. Let’s Do Brunch: Easter Brunch from the Other Side of the Restaurant.